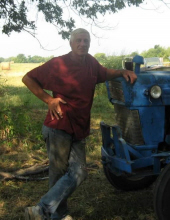 Melvin E. Clowers, 70, of Ketchum, Oklahoma passed away Saturday, January 26, 2019 in Tulsa, Oklahoma. He was born on November 10, 1948 in Tahlequah, Oklahoma to Melvin & Nora (Jones) Clowers. In 1969, Melvin married the love of his life Marlene Smith. He loved to hunt, fish, and scuba dive, but also loved the farm life, where he raised his cattle and goats. Melvin proudly served his country for four years in the Navy, then went on to retire from the U.S. Postal Service after 34 years of service. Melvin was also a wrestling coach for Oologah Schools for many years, which he loved dearly. He is preceded in death by his parents, one brother David Clowers, & one sister Sharon Orr. The Celebration of Life Service for Melvin will be 2pm – Saturday February 2, 2019 at the Burckhalter-Highsmith Funeral Home Chapel with Pastor Greg Highsmith officiating. Honorary pallbearers will be Floyd King, Jim Lewis, & Daren Parks. Online condolences may be made at www.highsmithfh.com or on the funeral home Facebook page. Arrangements are by the Burckhalter-Highsmith Funeral and Cremation Services of Vinita. To send flowers or a remembrance gift to the family of Melvin E. Clowers, please visit our Tribute Store. "Email Address" would like to share the life celebration of Melvin E. Clowers. Click on the "link" to go to share a favorite memory or leave a condolence message for the family.